This week’s quote is from Homegrown, a lame marijuana comedy/thriller with an intriguing cast. Your head is hollow, and yet you walk around, and say things, and frolic in it. Gollum again. 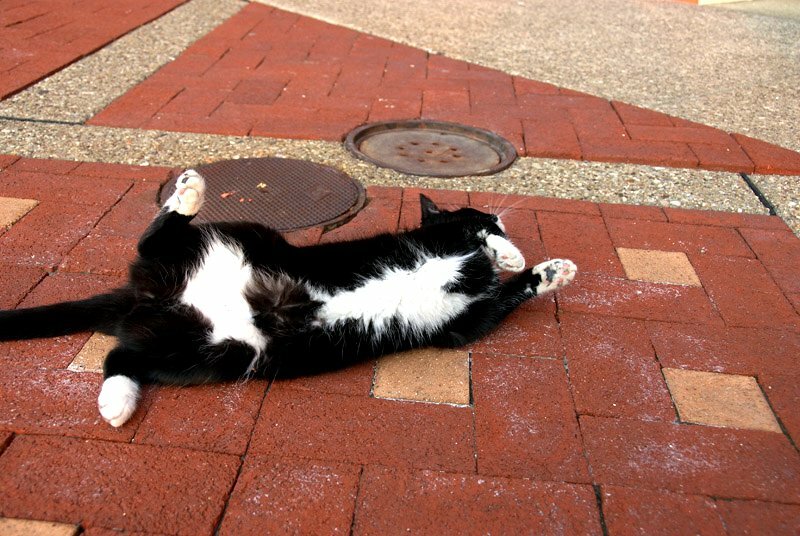 He really loves rolling around on the pavement. Did you figure out whether he belongs to anyone? Well, I never saw him again, so I assume *someone* took him home.